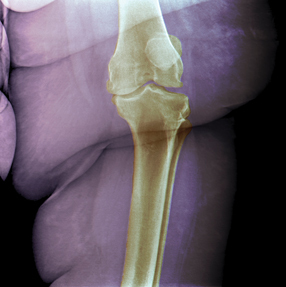 Osteoarthritis has been somewhat neglected, according to a recently formed consortium that is advocating for more proactive diagnosis and intervention. Earlier screening and a less reactive approach might head off some of the worst of the difficulties and related treatment costs. Many physicians are leaving private practice and turning to large health systems to give them breathing room to care for their patients and restore work-life balance. But before making the leap, physicians should ensure that the move is the best one. A physician who developed severe heartburn recalls his thinking as he reflects on his own progressively severe symptoms and increasingly worrisome differential diagnosis. In her first column, ACP's incoming president reflects on how internists can make themselves essential to their patients through membership in the College. As sequestration's impact on health care looms, physicians must tell members of Congress reach a bipartisan agreement with the president to reduce spending on less effective and lower-priority programs, increase funding for more important and more effective programs, and further trim health care spending by focusing on unnecessary care. A physician in the process of transforming his practice into a medical home discovered a resource that was already at his fingertips: patients and families who could help apply patient- and family-centered care concepts to primary care. Interventions such as exercise and weight loss are more likely to be successful for osteoarthritis if it is detected early. Speakers at a recent Business of Medicine Summit had some grim predictions and urgent alerts for attendees: “Start preparing for that storm that's partly on the coast but not here yet.”. The Centers for Medicare and Medicaid Services has released statements regarding claims payment issues that it will be correcting in the near future, including enforcing coding conventions and restructuring system edits. ACP announces chapter awards for Members, Fellows and Masters who have demonstrated by their example and conduct an abiding commitment to excellence in medical care, education, research, or service to their community, their chapter, and the College. ACP Internist's new puzzle feature challenges readers to seek answers to clues placed horizontally in rows to reveal an answer written vertically. A 55-year-old man is evaluated in the emergency department after experiencing fever and chills yesterday evening and bilateral arm pain and a rash on the upper extremities upon awakening this morning. The patient ate raw oysters from the Gulf Coast 3 nights ago. He was recently diagnosed with hemochromatosis. Which pathogen is most likely causing the patient's current findings?. The National Committee for Quality Assurance (NCQA) released in March its new Patient-Centered Specialty Practice (PCSP) recognition program, the first standards developed by a nationally recognized quality-promoting organization that reflect a specialty/subspecialty practice's efforts to improve care coordination with primary care physicians.